Fantastic that you are joining us and the whales in one of our exotic and stunningly beautiful destinations on the amazing Planet Earth! I like to be called? Other travellers details. Please include: Full Name, Date of Birth, Passport Number and Expiry Date. All payments are in Australian Dollars only, your second payment of 30% of your total tour cost is due on dates up-to-and-including 1 May (see your confirmation invoice for dates) and payment in full is to be paid 70 days prior to your WhaleSwim Adventures. For payments by wire transfer, please add AUD$20 for banks fees. Payments are non-refundable unless the space/s cancelled are filled. A Liability Waiver must be signed by each guest & uploaded to the Aqua Abilities page in their online booking within 14 days of confirming their booking with WhaleSwim Adventures Ltd. The booking is binding and all payments are non-refundable unless the cancelled space is filled. Prices may change due to 1. currency fluctuations 2. schedule or content changes 3. suppliers increasing rates after the tour has been advertised on WhaleSwim Adventures Ltd's website and circumstances beyond the control of WhaleSwim Adventures, even after payment is made in full, clients will have to pay the additional cost. These are ecological holidays, WhaleSwim Adventures reserves the right to ask any participants to leave the group should he/she behave in a way that is insensitive to the whales, the environment, local people, our staff, crew or other group members or continually not follow the WhaleSwim Guides directions in the water with the whales. WhaleSwim Adventures staff and management also reserve the right to remove those guests from the tour and move them to other accommodation at the guests expense. No refund will be given. Drones are ONLY permitted to be used on our 'Photography Tours with Michael Smith' or with special permission from the skipper in Moorea. In the event of cancellation of a whale-watching ½ day due to bad weather, we endeavour to go out for a full whaleswim day to make up the time – if this is not possible, no refunds will given by WhaleSwim Adventures. If the minimum bookings of 6 people on our 8-person tours and 7 people on our 9 people tours is not reached 70 days prior to departure of each expedition, then WhaleSwim Adventures has the right to cancel the expedition and transfer guests to another expedition. Any airfares booked/changed and paid for by the guest should be covered by their travel insurance. WhaleSwim tours cannot be 'booked' through travel agents, they can only be booked directly with WhaleSwim Adventures. I accept the terms and conditions shown above. The only ways to pay are. Pay via PayPal www.paypal.com – please add the 3.8% fee to your payment amount that they charge us. Please add your Tour # reference with your payment. Please add AUD$20 for bank fees. 3. Transfer Wise – (AUD dollars) an online international money transfer service – get a better exchange rate than your bank! EXCHANGE RATES ARE BETTER THAN ANY BANK! IT’S EASY TOO! This is cheaper than banks to send money anywhere in the world. You can transfer funds from your bank account or use your credit card. Transferwise converts most currencies to the the required AUD$ value at the daily exchange rate. On www.transferwise.com please enter the required AUD$ amount into the lower box and make sure your currency is in the top box. To our Australian Dollar Foreign Currency account in New Zealand. Drones are are NOT permitted on the boat in this tour in Mozambique. In the event of cancellation of a whale-safari due to bad weather, we endeavour to go out for a second whale safari to make up the time – if this is not possible, no refunds will given by WhaleSwim Adventures. If the minimum bookings of 7 people on our 10-person tours and 6 people on our 9 people tours is not reached 70 days prior to departure of each expedition, then WhaleSwim Adventures has the right to cancel the expedition and transfer guests to another expedition. Any airfares booked/changed and paid for by the guest should be covered by their travel insurance. From 1 January 2019, WhaleSwim tours cannot be 'booked' through travel agents, they can only be booked directly with WhaleSwim Adventures. Online 'Book your Tour' reservations will be held for 14 days. The non-refundable deposit of AUD$2,000.00 is required within 14 days to confirm a reservation. Payments (Australian Dollars only) in full are required 80 days prior to your WhaleSwim Adventures. For payments by wire transfer, please add AUD$20 for banks fees. Payments are non-refundable. A Liability Waiver must be signed by each guest & returned to our office within 14 days of booking your WhaleSwim Adventures tour. Drones are ONLY permitted to be used on our tour ONLY with permission of the Skipper/Boat owner. In the event of cancellation of a whale-watching day due to bad weather, no refunds or replacement day/s of whale watching will be offered by WhaleSwim Adventures. Children/teenagers under 18 years old are not accepted on our 7 or 9 night tours. If the minimum bookings of 6 people on our 8-person tours and 8 people on our 10 people tours is not reached 80 days prior to departure of each expedition, then WhaleSwim Adventures has the right to cancel the expedition and transfer guests to another expedition. Any airfares booked/changed and paid for by the guest should be covered by their travel insurance. 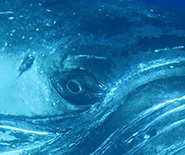 WhaleSwim tours can only be 'referred' through travel agents, they can only be booked directly with WhaleSwim Adventures. 1. International Bank Wire Transfer to our American Dollar account in New Zealand. Please add USD$20 for bank fees. All payments are in American Dollars only, payment in full is to be paid 30 days prior to your WhaleSwim Adventures. All payments are to be made by wire transfer to our US Dollar account in New Zealand ONLY, please add AUD$20 for banks fees. Payments are non-refundable unless the space/s cancelled are filled. Drones are ONLY permitted to be used on our 'Photography Tours with Michael Smith' or with special permission from the skipper. If the minimum bookings of 6 people on our 8-person tours 40 days prior to departure of each expedition, then WhaleSwim Adventures has the right to cancel the expedition and transfer guests to another expedition. Any airfares booked/changed and paid for by the guest should be covered by their travel insurance. The only 3 ways to pay are. PLEASE only send Australian dollars (AUD) for payment to this account. Reference: (your Name & Tour Reference) – very important that you include this information with your payment. Please email and let us know when you have made the payment so that we can let you know as soon as it clears. Credit card payments can be made by emailing Ollie at our office in New Zealand: office: reception@moorings.co.nz Please send cc email to: annah@whaleswim.com so that i can track payment and advise you as soon as it clears. NB: a credit card fee of 2% for Mastercard and Visa and 3% for American Express will be added to your payment total.